We've decided that after our June 11th Class, we will no longer be able to hold regularly scheduled twice-monthly Classes; the Nursery has been growing so fast we need more days free to tend to everything. We will, however, still offer Special Private Planting Classes for groups of 4 or more. Please feel free to contact Jo Anne at 323-422-3835 to discuss dates and details. The Privates offer a wonderful way to celebrate a wedding party, a birthday, a family reunion, or any other special occasion! Our Classes are fun, informal, and a great way to expand your gardening know-how. Everyone plants while standing at tables (no bending down), and each gardener has their own hose, so it’s all very comfortable. We can even accommodate one Wheelchair Gardener per Class. And since we grow our own “kitchen garden” in some 26 EarthBoxes year-round, you’ll get to see lots of crops “in action” and perhaps get inspired to further add to your own! Although seedlings are invoiced separately (as no two gardeners ever want to plant the same thing), the complete Certified Organic EarthBox Kit, Organic Black Gold Soil and Organic Worm Castings ARE included in the Class price, as well as all applicable Sales Tax. We also serve yummy Refreshments from our fellow Farmers Markets vendors and send you home with a handy "parting gift". Classes run under two hours with free street parking. So give us a call and book your special event today! P.S. EarthBox LOVES the way we use/sell/teach in their growing kits, so they produced this “documentary short” about us! It's a fun video ... watch it here. 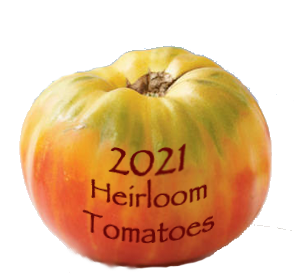 SEASONAL HIGHLIGHTS: Heirloom Tomatoes! Plus Beans, Cucumbers, Squash, Melon, Corn, Eggplant, Peppers, Okra, Lettuces, and of course, Herbs! 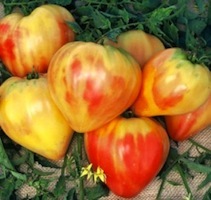 Please check the Heirloom Tomato and Current Veggies pages to see the full Spring/Summer line-up!